368 pages | 13 B/W Illus. Accounting in Networks is the first book that in a comprehensive way covers the emerging issue of accounting and control in horizontal relations across legally independent organizations. During the last 20 years, organisations have shown an increased interest in collaborations that cross company boundaries. New organisational forms, such as alliances, partnerships, joint ventures, outsourcing and networks have received increased attention. This development has pushed management accounting researchers into examining the lateral effects of accounting. This book examines these lateral effects on accounting, and creates a comprehensive summary of what has been achieved so far and what interesting developments will occur in the coming ten years. The book covers a variety of inter-organizational settings – dyads, networks, joint ventures, public sector – and the roles of accounting therein. It also deals with specific inter-organizational accounting techniques – customer accounting, target costing and open book accounting – which companies use to manage in a world of inter-organizational relationships and networks. 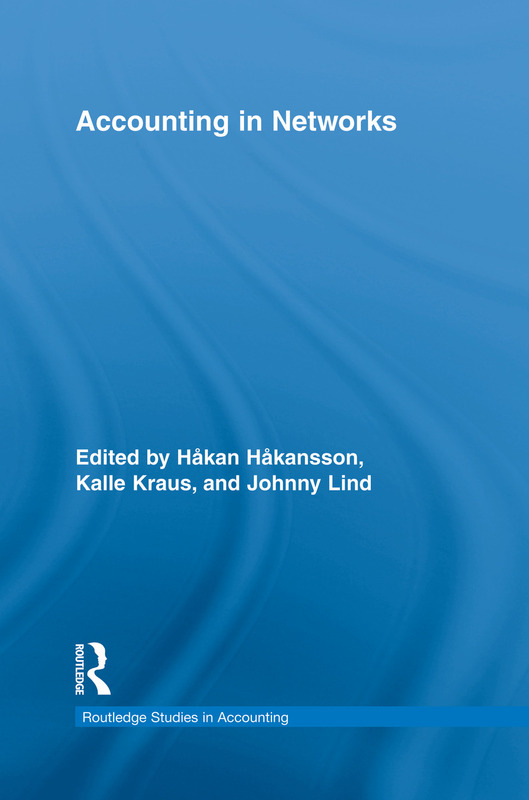 The book also covers different theoretical perspectives – transactional cost economics, the industrial-network approach, actor-network theory, institutional theory – on accounting in networks. Each chapter focus on a specific angle of accounting in networks, assess theoretical and empirical evidence, summarize the current position/debate and discuss promising avenues for future research. Håkan Håkansson is the NEMI Professor of International Management at the BI Norwegian School of Management in Oslo. He is one of the founding members of the international IMP Group. His present research interests are accounting issues related to networks focused on innovations, and knowledge development in the interface between science and industry. He is member of a number of editorial boards, and the editor of IMP Journal. Kalle Kraus is an Assistant Professor at the Department of Accounting at the Stockholm School of Economics. His research centres on the role of accounting in inter-organisational relationships and networks, and how the shareholder value trend and capital market pressure affect large companies listed on the stock exchange. He has been published in IMP Journal, and published a chapter on accounting in networks in the edited volume Issues in Management Accounting. Johnny Lind is the Professor in Management Accounting and Centre Director for the Accounting and Managerial Finance Unit at the Stockholm School of Economics. He is involved in the area of accounting in inter-organisational relationships and networks. He has been published in journals such as Accounting, Organization and Society, Management Accounting Research, Journal of Business Research and IMP-Journal. He has also published chapters on accounting in networks in edited volumes such as Handbook of Management Accounting Research, and Issues in Management Accounting.